Hellion is a solar system many lightyears from Earth. Despite its remoteness, it is the destination of the first interstellar colonization mission during the 23rd century. Almost a million colonists, suspended in cryogenic hibernation, leave Sol on a journey that will take many decades. However, when they wake up, almost a century later, they find themselves trapped inside a nightmare. Instead of living in a manmade paradise they are forced to fight for survival surrounded by deserted stations, incomplete orbital habitats and derelict warships. With the closest rescue operation half a century away, orbital economy in disarray and no authorities in sight, many turn to scavenging, stealing and outright violence. Others try to live in a more civilized way and begin uncovering the truth behind the largest disaster in human history. 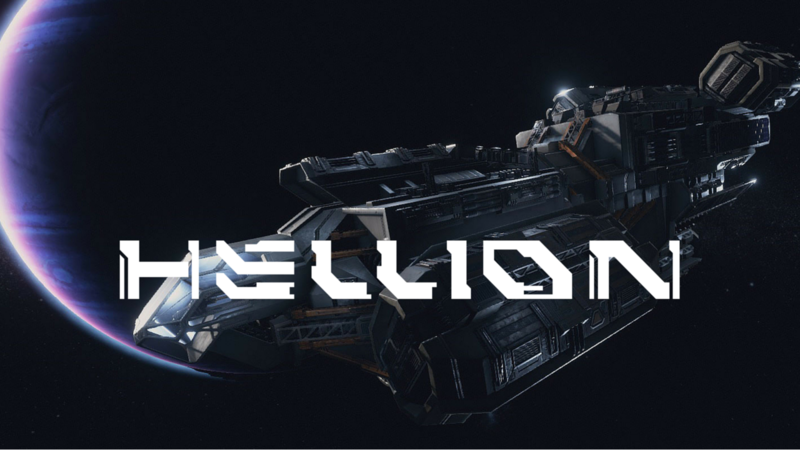 Pilot your spaceship and explore the world of Hellion through realistic navigation and scanning mechanics. A persistent universe with seamless transitions, no loading screens or instancing. Travel freely between planets, moons and asteroids and move without restrictions between ships and stations. Immersive multiplayer interaction without artificial restrictions. Work together with your friends and crew mates or betray them for personal gain. Lend a helping hand to others, ignore them or move against them, the choice is yours. Find a derelict spaceship and restore it for personal use, or salvage it for parts to upgrade or repair your existing ship and outpost. Detailed crafting system, including: salvaging, research and reverse engineering. Fully modular and customisable ships, stations and equipment. Realistic sound physics based on environmental pressure, distance and contact. Feel the roar of powerful engines and ship to ship weapons or move through the deathly silence of vacuum. Large multi-crew ships needing several players to operate efficiently. Complex ship to ship combat including: detailed scanning, targeting, weapons and electronic warfare systems, subsystem destruction and realistic damage effects. Tactical close quarters combat combining boarding, hacking and realistic wound models. You can find more screenshots and other artwork here. Survival in space? Count me in! Sure there are a fair few survival games around, but I can’t think of any that look like Hellion. The only game I can really think of that comes close is Star Citizen and that’s not really going to the same at all. Now, I’m not saying there aren’t any, I just can’t think of them off the top of my head and that’s why Hellion interests me. It feels like something new, something a little different. The idea of trying to survive against the harshness of space with the threat of other players sounds really good. I’m just sucker for the survival genre really. I love the idea of having multi crew ships, to be honest a lot of the PVP features sounds really interesting – being able to hail other ships and board them, having the choice between ship combat or FPS combat. Everything sounds really promising and I will be keeping a very close eye on how this games develops over the next few months ahead of it’s release via early access later this year. ← E3 2016 Sony: What to Expect or Wishful Thinking?